Reading is an essential skill all students have to master. Since it's the basis for just about every other school subject, your child will need to be a great reader in order to reach success. To help them sharpen their reading skills, focus some attention on these reading components. Phonics is the foundation of reading. Children should be introduced to phonics early on in order to ensure they are able to build a solid reading foundation to build on. Introduce your child to letters and help them identify them by their name. Once they've accomplished this, introduce them to the sounds associated with each letter. This will help them make a connection between written words and spoken language. As they move further into phonics they'll be able to sound out words and identify elements like suffixes and compound words. Reading comprehension forces your child to multitask as it requires them to read a text while also absorbing the information they're reading. A good way to test your child's reading comprehension skills is by asking them to summarize what they just read or by asking them more specific questions, like what the main idea of the text was. Many standardized tests include reading comprehension assessments, so it's definitely an important skill they need to work on. Students who are great readers can always go further and reach new reading levels. If your child is reading above their grade level, provide them with the appropriate reading material and tutoring to keep their skills growing. Being a great reader will be a huge benefit once they reach college because most classes tend to have quite a heavy reading focus. 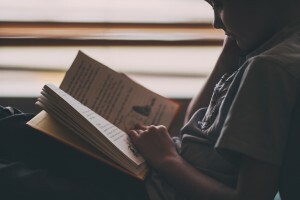 Whether your child needs help sharpening their reading skills or needs a bit of a reading challenge, tutoring in Oro Valley can provide what you're looking for. For the best reading tutoring programs around, contact The Tutoring Center, Oro Valley AZ. Give them a call at (520)-219-4112 to get started!